Excerpt from JCYC Up Close Winter 2019 Meet JCYC Mayor’s Youth Employment and Education Program (MYEEP) alum and current Youth Development Coordinator, Maricar Bamba! Maricar was a Sophomore in high school, when a friend handed her an application for MYEEP. Maricar was placed at a worksite that offered a hip hop music program. While working for MYEEP, Maricar developed personal and professional skills with the support of many mentors. Today, she reflects back on the lessons that she was taught as a MYEEP participant which have been key to her success in the adult workplace. Maricar shares, “I’m surprised I didn’t get terminated. I thank everyone around me at that time for being patient with me while the other side of my life was a rollercoaster.” Maricar’s professional trajectory has always been to leave a legacy of some sort - to impact others and give space to let others grow. 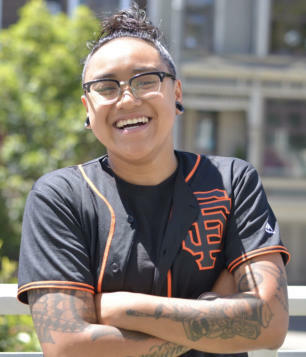 MYEEP’s HATCH Project was the ignition that inspired her to pursue youth development work. The MYEEP HATCH Project organizes participants into teams to evaluate their neighborhood, assess it for strengths and weaknesses, identify a needed business or nonprofit model, and compete against other team proposals. Winning projects are supported to create real youth-led projects. In her first year as a MYEEP Youth Development Coordinator, Maricar is being challenged in many ways. MYEEP is enabling her to work directly with youth and gain a better understanding of the different industries that interest young people. Maricar strives to be her authentic self and make a difference for young people while having the time of her life. To download a complete version of JCYC Up Close Winter 2019, click here.